Life in the big city is one big adventure for Arnold. Living with his grandparents, who run the Sunset Arms boarding house, Arnold shares a roof with a diverse and unusual menagerie of characters (including his pet pig!). But as any fourth grader knows, some of the most memorable people youll ever meet are in school. And with friends like Arnolds (including storyteller Gerald, class jinx Eugene, sometime-bully Harold, and the tomboy Helga, who harbors a secret crush on our hero), you can be sure that hes got some funny exploits to share with you. 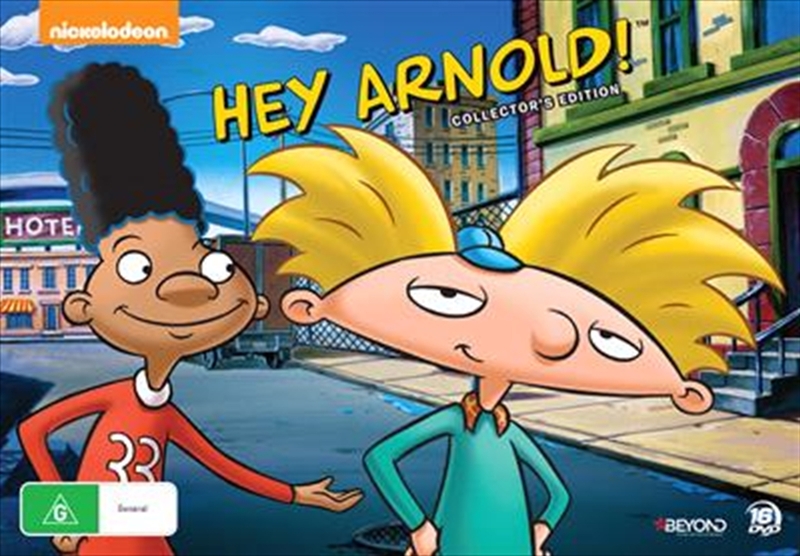 Featuring every episode from Seasons 1-5 of this cult classic animated series, this all-inclusive 16-disc set of Hey Arnold! delivers non-stop, big-city adventures!